CD review: "Say What You Mean"
Soul music has fallen off Hollywood's radar perhaps even further than big band music. Hip hop and rap, that's what's hot now. What the kids want to hear. What the radio stations are playing. 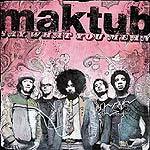 Except someone forgot to tell Seattle's Maktub, whose third album, "Say What You Mean," is a pulsating, dance-ready bit of power soul. With an urban funk beat as foundation and the voice of Reggie Watts as its immediately identifiable feature, Maktub gives soul a fresh new approach that is fully immersed in a new century. Full of influences from alternative rock and grunge to hip hop and metal, Maktub's brand of soul is a creation of its times. Of course, soul never really went away  radio and Hollywood just changed, moved on to the latest trends. Veterans like Solomon Burke and Al Green continue to record and tour, and younger artists like San Diego's Earl Thomas continue to fight for a foothold, to gain some traction. "Say What You Mean" opens with three great songs that would be all over the radio were soul still a commercially supported format. "Promise Me" is a hypnotic hybrid of soul and power pop, not so different from what British soul bands like Londonbeat and Total Contast were doing in the 1980s and '90s. The title track is an old school soul ballad like something out of the Hi stable, and "20 Years" is almost a rock 'n' roll anthem, with Watts' high falsetto recalling memories of Freddie Mercury. While not quite as strong, several of the other songs remain eminently listenable. "Hunt You Down" is a melodic, low-key ballad; "Nobody Loves You Like I Do" is an aching love song. And the closing track, "Right to Breathe," is nearly as strong as the three opening cuts  a swooping, slowly building power ballad that shows off Watts' remarkable vocal range.